A collection of instruments made by a merchant seaman from thousands of used matches have gone on display. 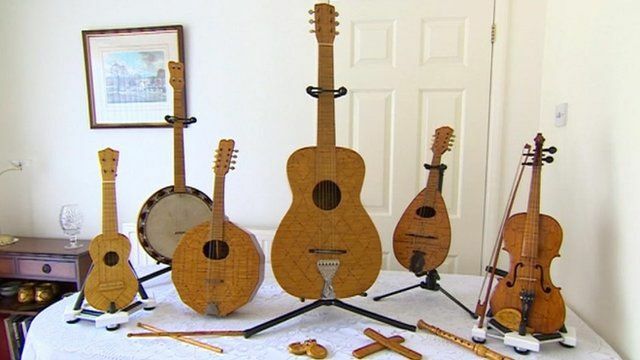 The instruments, including guitars and a violin, were made by Jack Hall in the run-up to World War II. They have been preserved by his son Tony, who lives in Hove and are currently on display in Brighton's Jubilee Library.